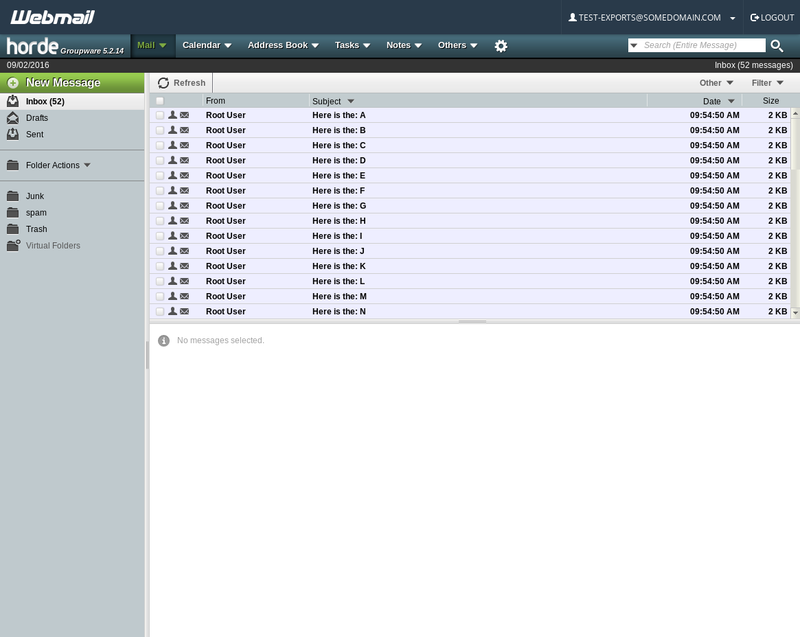 When it comes to exporting Emails on a cPanel based server using Webmail is the easiest method. 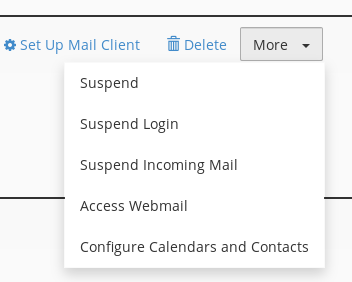 Currently, cPanel-based servers offer three different webmail interfaces [Horde, Squirrel Mail, and RoundCube] for viewing and managing email accounts. Using a webmail client allows you access to your Emails without the need to setup an email client. 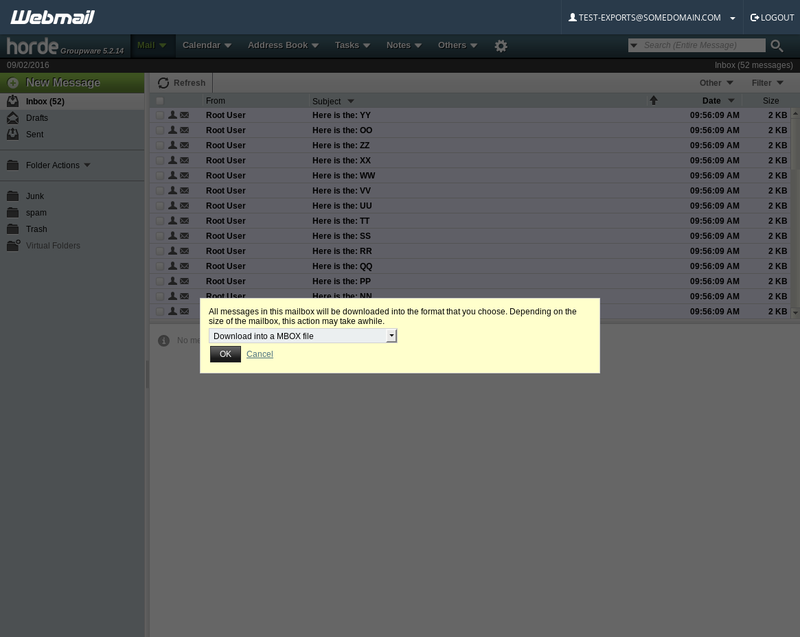 This tutorial will focus on how to export emails from your server by utilizing the Horde Webmail interface. While RoundCube does support email exporting, it only allows you to do so with a single email at a time. This may not be an issue for some, but when working to export a large number of emails this can be an inconvenience. On the other hand, Horde allows the exporting of entire folders, this can speed things up when working to export in bulk. These instructions are intended specifically for a managed Liquid Web server with cPanel. 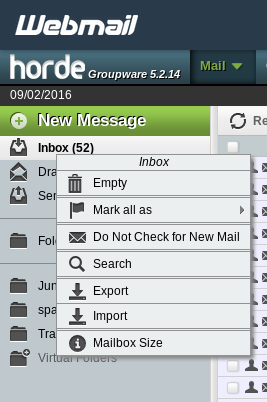 The Horde Webmail interface must be enabled on the server. Access to the cPanel account which owns the email address will be necessary. Open webmail for the email address you would like to export. You can do this by either logging into webmail with the email address directly, or by going in through the cPanel account that owns the email address. 1. Login to the cPanel account that owns the email address you are looking to export. 2. 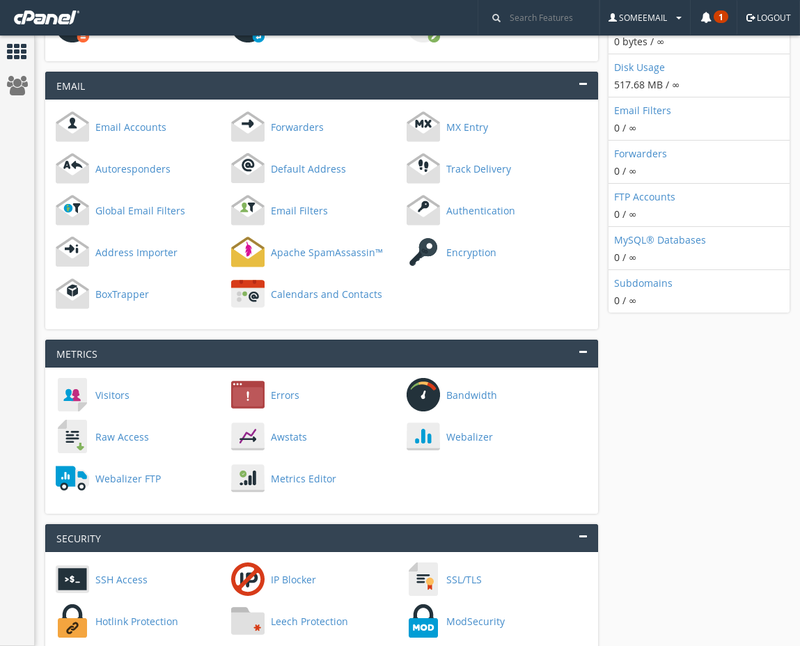 On the main cPanel page for the account find and click the “Email Accounts” button. 3. Now on the Email Accounts page, find the email address you’d like to export emails for. Click the “More” button and then find and click “Access Webmail”. 2. You should now see a Webmail login page where you can enter the email address and respective password to login. Once the Webmail login is complete, either by direct login or login via cPanel, you will be presented with a page for Webmail selection. You can choose any folder you would like, for this example we will be using the Inbox. From Horde, right click ‘Inbox’ and select ‘Export’ from the list. You will now see a popup with export options, you can simply click ‘OK’ to get the exported emails in MBOX format. With that complete you should now see your browser downloading the Emails in the MBOX format. The MBOX file format is a fairly generic format used for backing up Emails. The MBOX format is essentially a plain text file and has a wide range of support with various Email clients. For more details and information on this file format see the MBOX wikipedia page.